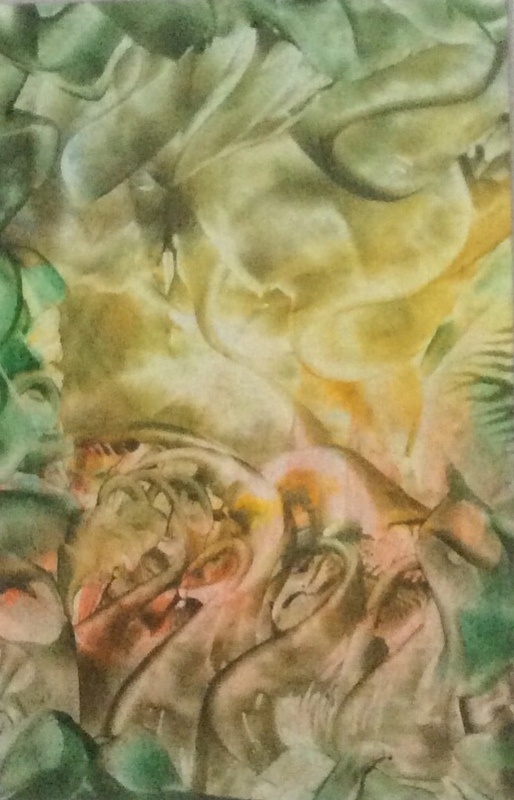 I completed this painting some time ago, it is entitled 'Mystery'. It is one of my favourites. It is still for sale on my website so therefore the person who responds to this particular mix of colours, patterns, shapes, and textures (and who has the money and impulse to buy it) has yet to come along. Maybe it is for you? It is one of my favourites, so I am not sorry it is still with me for now, as I write this, whilst knowing that I would love someone else to decide to give it a home. The photo doesn't show the full richness. The colours are soft and delicate, yet there is a strength and a vibrancy there. What do you see? - explore the colours and shapes in the painting, where do they take you? I am not sure if I have mentioned here that I was nominated towards the end of last year for the Devon and Cornwall Region Venus Awards for Women? I was in two categories: 'Inspirational Woman' - for which there were over 75 nominations, and I was not successful, and 'Lifetime Achievement' - where I am one of the five semi-finalists. 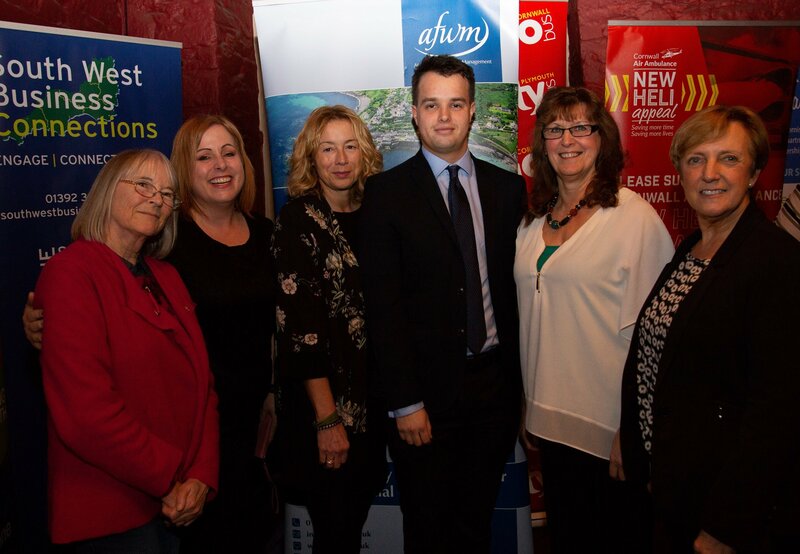 Here I am with the other semi-finalists and the representative of the sponsor of our category, Atkins Ferrie Wealth Management. The announcement of the finalists in each category takes place at Pentillie Castle on Friday 8th February. I was going to invite you to book a ticket if you are in Cornwall or Devon and would like to join us for an afternoon and a cream tea - but I have just checked and they are sold out. I will let you know what happens. The new year of unfurling the Power Flower - or following the Compass Rose as those two concepts are becoming one and the same - begins on 4th February, and there is an extra introductory group call on 1st February. If this calls to you, there is just time to join us. "My centre point is Peace, grounding, balancing." This is how we begin the year, focusing over four weeks on what Peace means to you, how you can find it and remain in it in day-to-day life. We share in a private Facebook group where I post daily prompts for you - and you can take part by email if you prefer not to use Facebook - and meet live once a week on Fridays at 9.00 am UK time. These gatherings are recorded so you can watch later if you cannot join us. You are always included even if you are not physically present on the call. There is still just time to book a place, so visit the website page here if you are interested, and contact me if you have any questions. Twice a year I offer a special rate on one to one coaching sessions to you in gratitude for your being here with me and reading this every month. Some of you have been subscribers right from the beginning (which I think was in March 2007). This time I am offering you a 50% discount on the 'Pathway to Power' package of six conversations on Zoom video-conferencing. 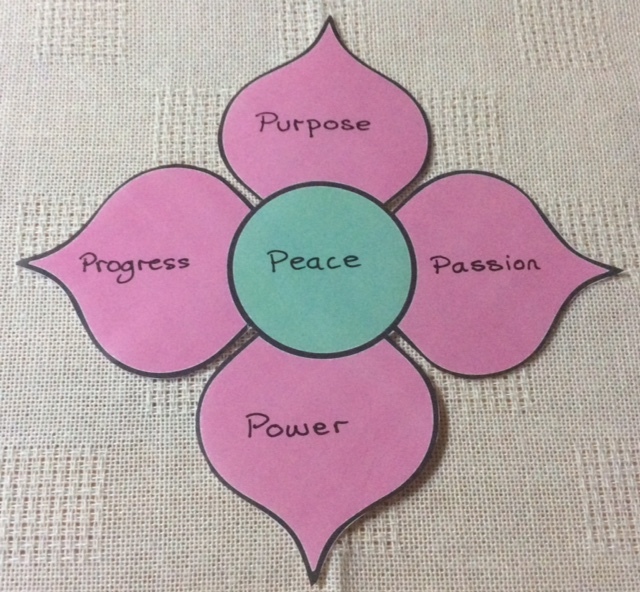 We will explore each part of the Compass Rose, beginning with Peace in the centre, progressing through Purpose, Passion, Power and Progress, and returning back to the centre point, to Peace in the final session. You can choose half hour or one hour sessions, the details are all here, but contact me before booking so I can give you your discount. 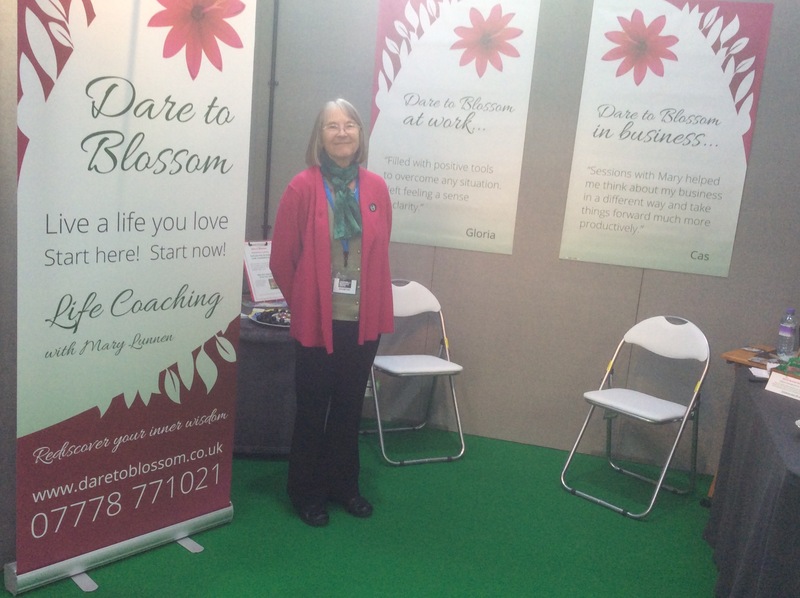 Cornwall Business Show: This is coming up, on 14th March at the Royal Cornwall Showground near Wadebridge. If you are in Cornwall or Devon, it is worth visiting. There is free entry, and you can pre-register by using the link. Come and say hello of Stand FG5. Here I am on my stand a couple of years ago. The light was streaming in through a skylight overhead at the time. Three Card Listenings These are continuing to be popular with people who want a snapshot of insight for themselves. Cornwall Workshops: The first workshop of 2019 at the Blue Lotus was a joy as always. The next is on Saturday 9th March, from 10 am to 1 pm. This time we will be exploring Purpose. Root and Branch Listenings are available at any time as a one-off, or as a quarterly subscription. If you choose to subscribe, you will receive your personal Listening four times a year. The next issue will be in December for the Winter Solstice. I will be starting work on those very soon, so if you would like to be sure of receiving yours in time for the Solstice, buy yours now. 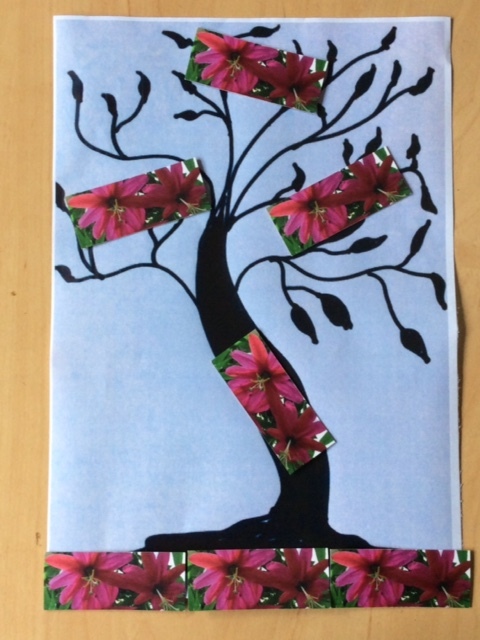 Point of Focus Membership: if you prefer a monthly timescale with Dare to Blossom Cards drawn for you to reflect upon, with the option of adding on one-to-one coaching calls with me, the Point of Focus subscription may be for you. Some people find subscribing to these and the 'Root and Branch Listenings' together a valuable source of support.